Historic Motorsport International (HMI) is racing towards a hugely successful first year… even though the starting lights have yet to go out. Such is the interest in the UK’s newest event devoted to historic racing and rallying that fully three months before it opens its doors for the first time, the show has increased in size to accommodate a rapidly growing list of exhibitors. 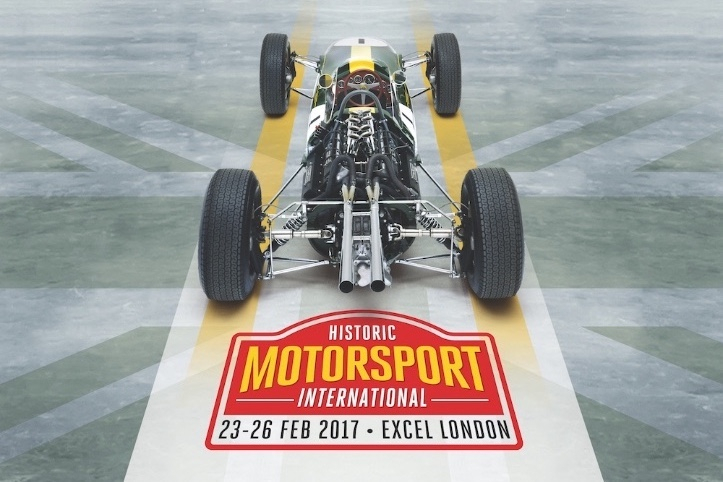 To date, more than 30 leading companies and organisations involved in the sport have taken space at the show, which is to be staged alongside the London Classic Car Show at ExCeL, London, from 23-26 February 2017. Joining specialist companies such as Dunlop Motorsport, Cosworth, Duncan Hamilton, Taylor & Crawley, Motor Racing Legends and FORCE plus clubs like the Historic Sports Car Club and the Classic Sports Car Club are a growing number of other major companies from within this thriving sector. These include Anglo American Oil, DC Electronics, Lista, PRG Trailers, Equipe GTS and preparation specialists Quinntech. Robert Quinn of Quinntech commented: “HMI 2017 will be the first show at which we’ve ever exhibited and we’re looking forward to using the event to grow our portfolio of projects. With our experience of running highly competitive cars in Peter Auto, Masters, Motor Racing Legends and the Spa Six Hours we are eager to embrace some new challenges in 2017 and HMI will connect us with potential new clients and opportunities.” Martin Dewey, General Manager (UK) at DC Electronics is equally upbeat about the potential presented. 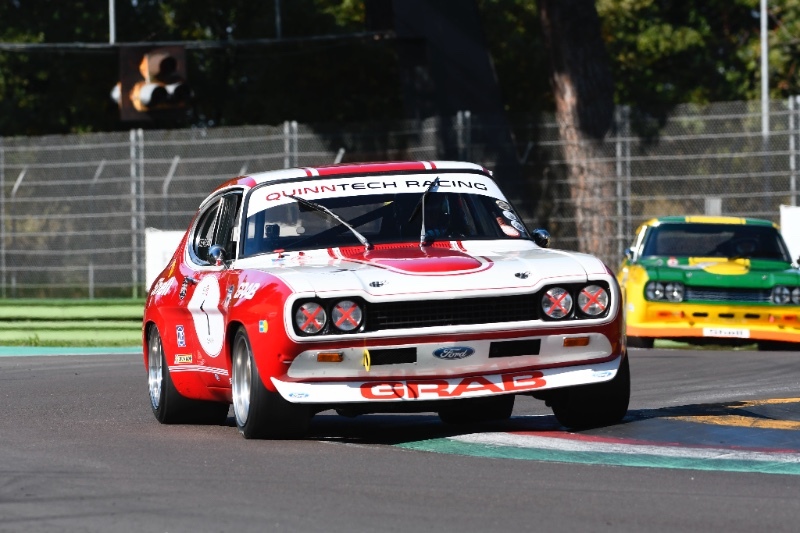 He said: “The historic motorsport market is becoming increasingly relevant for us, as it is evident that many owners and preparation companies are now looking to modern-day solutions, whether it be for wiring or hardware. Our electric power steering is also particularly suited to these customers, so having a presence at Historic Motorsport International seemed the obvious thing for us to do.” Amongst the content will be a special celebration marking 50 years of Formula Ford along with Cosworth which will be celebrating the golden anniversary of the all-conquering Cosworth DFV F1 engine. Another special feature is the new Historic Motorsport Conference Programme which, in a public forum on Thursday and Friday, will examine a wide variety of topics including technical compliance in historic competition, safety and the promotion of historic motorsport events. “We are absolutely blown away by the positive response we have had to HMI,” said Ian France, Show Director. “Both the quantity and quality of the exhibitors who have taken space at what is, remember, a brand new exhibition, which forms a dedicated extension to the highly successful London Classic Car Show, is astounding. With three months still to go and more companies signing up every week, when HMI opens its doors next February we are confident it will truly reflect the UK’s leading role in the world of historic motor racing and rallying.” The show will gain further exposure as a category sponsor at the 2016 International Historic Motoring Awards, to be held at London’s Guildhall on Thursday, 17 November. The award is for the Rally or Tour of the Year and shortlisted nominees include the Bonhams London to Brighton Veteran Car Run; the Endurance Rally Association’s Peking to Paris Motor Challenge and the Royal Automobile Club’s 1,000 Mile Trial. Historic Motorsport International will be held alongside the London Classic Car Show, now in its third year and looking to build on the record 33,000 visitors who visited the 2016 event. Both shows are staged by Brand Events, the company behind a raft of successful motoring events including CarFest, Top Gear Live and the recent IGNITION Festival of Motoring.